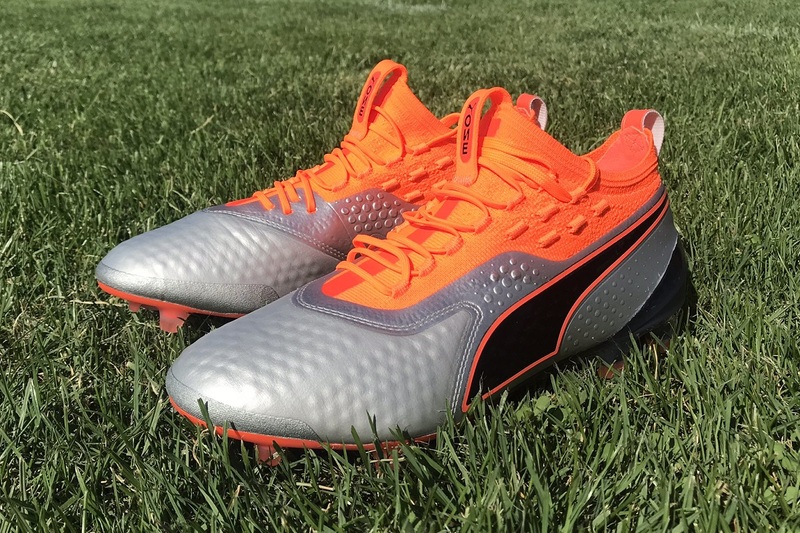 We have seen several different Puma ONE styles come and go over the past few seasons, as Puma looks at new ways to reinvent their signature speed silo. 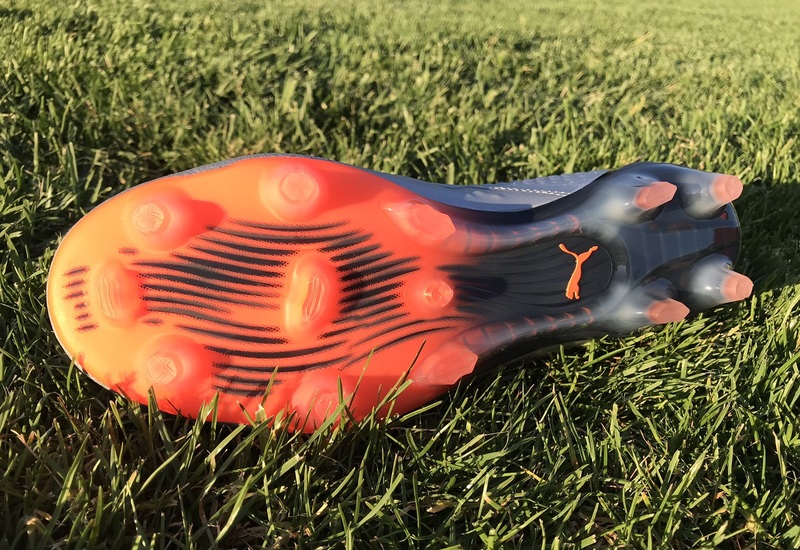 This latest edition, the Puma ONE 1, is definitely the most complex to date, combining new modifications to improve fit with a fresh upper design that enhances touch and feel on the ball. 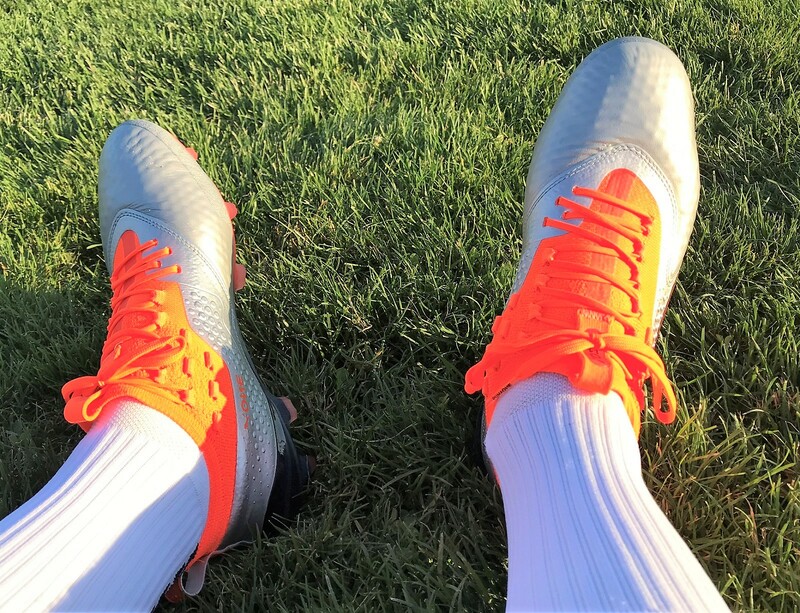 There is a k-leather and synthetic version available for players to choose from, this pictured pair is the k-leather version. You might recall these boots were worn by players at the World Cup this past Summer by some impressive players. When you add Romelu Lukaku to names like Sergio Aguero, Antoine Griezmann and Olivier Giroud, you have a pretty formidable group of players wearing them! This is a boot with a lot of potential. We currently have them in testing, but wanted to bring you a first look at tackle some important initial questions that have come up. For those looking to jump on a pair, find all the latest at soccer.com. In person, these look pretty stunning. 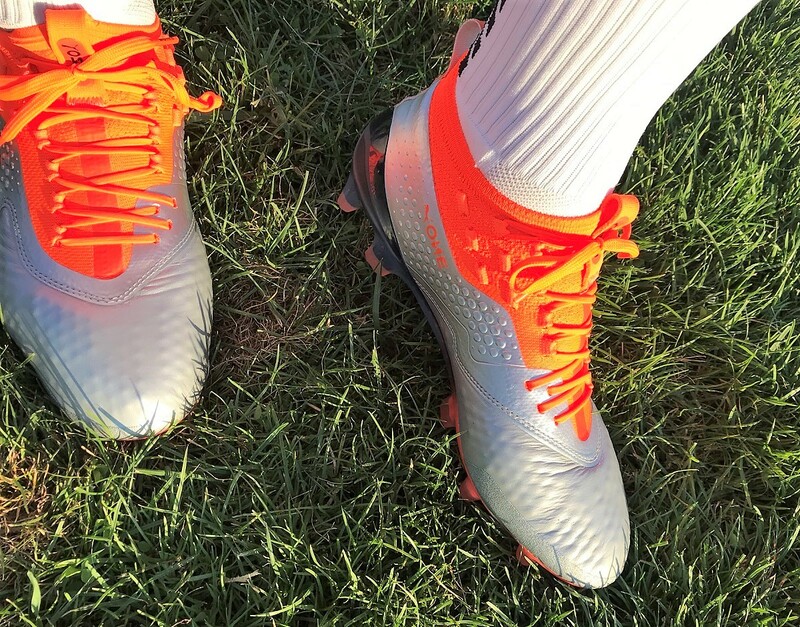 The mix of a high contrast orange detailing on the silver chrome upper really stands out. But if there is one thing I’ve learned about the Puma ONE 1 to date, it is that they are incredibly tough to take pictures off! The colorway contrast combined with the sheer number of undulations and added pieces across the upper makes it pretty impossible to find the right angle. How Is The Lacing System? Right through the regular lacing area, things are pretty standard. You just lace them up as you normally would through each of the eyelets. The all important part is the additional eyelets found toward the top outer portion of the lacing system. You can’t miss them! Using them allows you to pick the type of system you want to use, creating a more dynamic and personalized fit. They do look slightly odd, but in reality they don’t affect performance in any way. What About the Front Pull Tab? This is something a lot of people have asked about, wondering if it is likely to get caught in other players boots. The answer is a solid NO. I could see how it seems like it might get caught, but it would be incredibly random, especially when you consider the laces tie over it. To be honest, it proves extremely useful when putting the boots on and pulling them off, and I’ll take that added functionality any day of the week. In the past, we had got to the stage where you just accepted a Puma boot was going to fit tight. But that isn’t the case anymore, as they have made modifications to both the ONE and FUTURE silo. It makes a lot of sense, conforming to the market and making the fit more reliable for players. These are a solid medium/wide fit, probably one of the best fitting on the market when it comes to the speed category. I’ve found that there is a little extra stretch in the upper, ensuring there is a chance they improve if they feel too tight during first wear. I’m getting pretty close to the point of piecing together a review on the ONE 1, and I’m actually pretty excited about it. There is a lot of positives to these, outside of the visual difficulties they present. 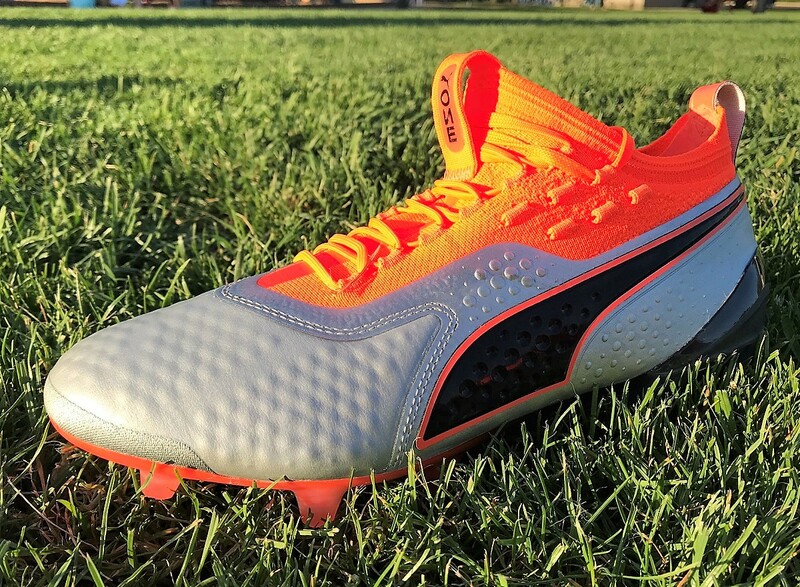 I can see that being a deterrent for some players, which is a real shame as Puma has pieced them together very efficiently, creating a new style of speed boot that gives players something just a little different on pitch. More details to follow! 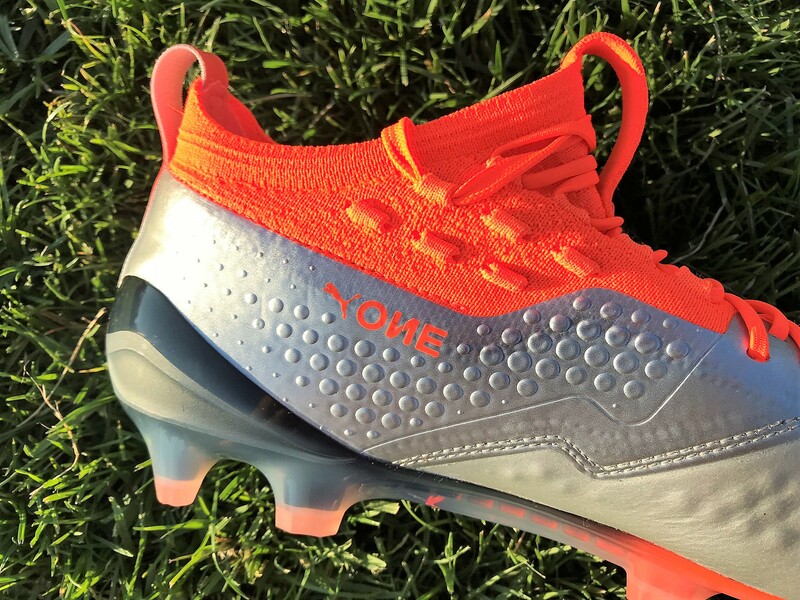 There are several colorways available to choose from in the ONE 1 series right now. Players get to choose between a synthetic or k-leather, both with original retail prices listed around the $200 mark. Right now, there are several colorways on sale at solid prices, well worth considering if you need a new pair of boots! hello and thanks for all!! !